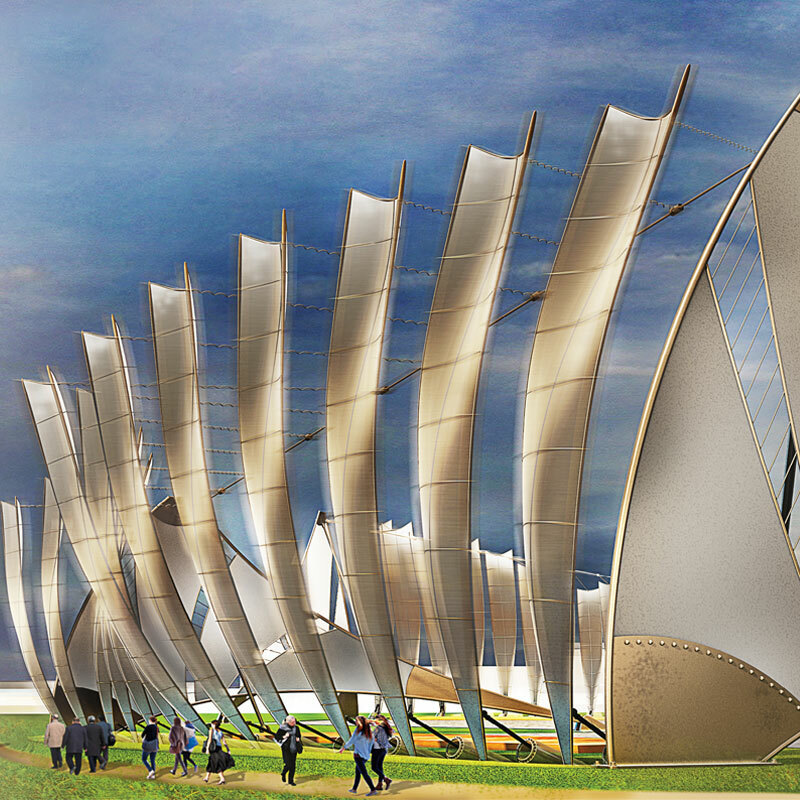 Aetherius is a public installation which generates energy from wind. 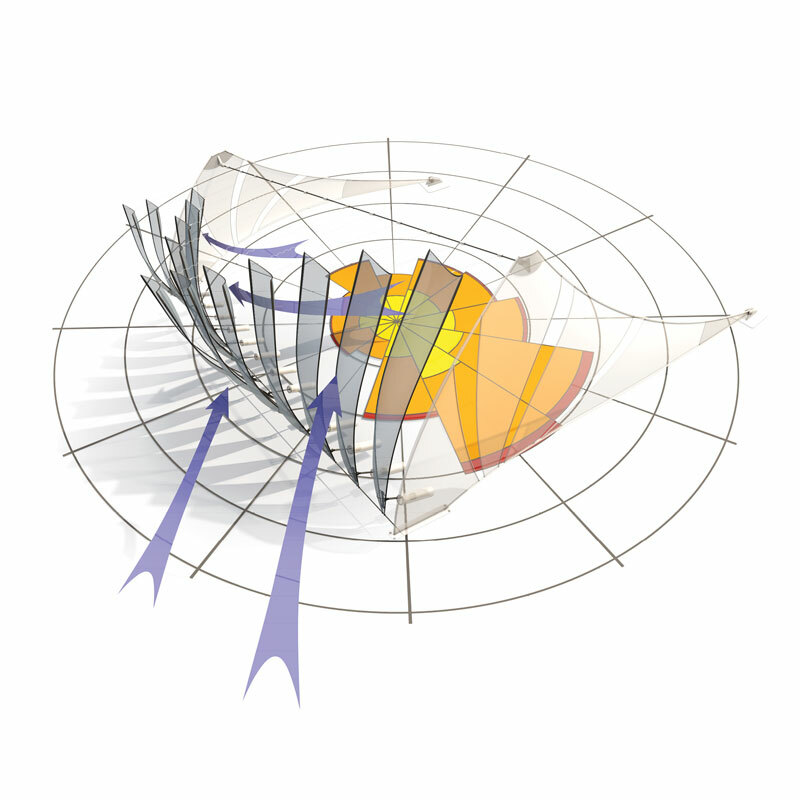 Renewable energy harvesting is interpreted as an infrastructure to integrate the public. Turbines might cause noise and aesthetic pollution. Although wind power plants have relatively little impact on the environment compared to conventional power plants, concern exists over the noise produced by the turbine blades and visual impacts to the landscape. Aetherius responds to this by creating a public space where people can interact with the energy generating infrastructure. New Energy my submission for the Land Art Generator Initiative. 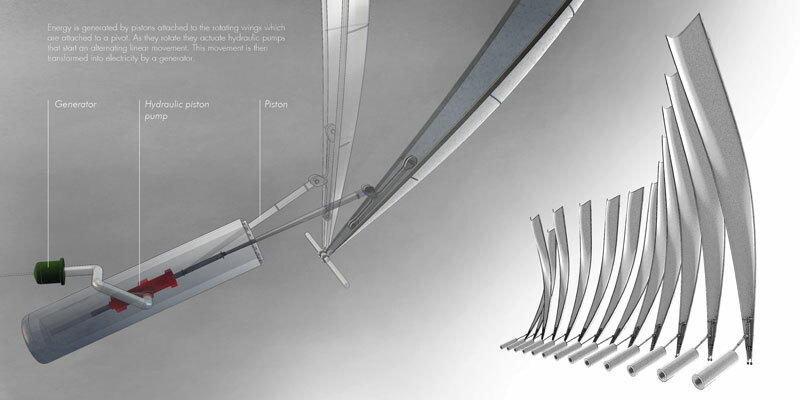 My proposal is a public art installation that produced electricity from wind. The energy generation technology used in the installation comes from waves power generation technology. The alternating movement of the wings actuates hydraulic piston pumps. This movement is then converted into electrical energy by a generator. The electricity generated is then transformed and transmitted to the grid for the consumption of local households. The installation aims at generating enough energy for 600 local households. The power generated by one wing pump is between 40 000 and 50 000 kWh per year, so 4 to 5 times the power generated by a small scale wind turbine (10 000 kWh per year). Thirteen wing pumps would generate 4200 mWh per year. 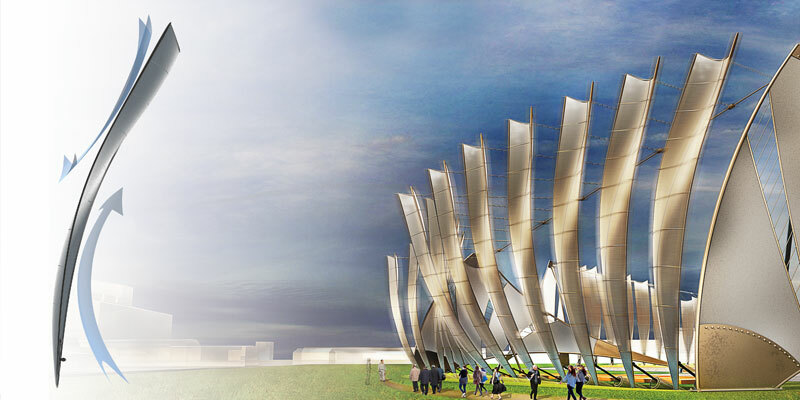 The structure expresses the poetic potential of the natural resource as well as its potential to generate energy. Indeed the intervention aims at transmitting the beauty of the natural resource through its material manifestation. Cyclic design is a sustainable design studio developing products considering their entire lifecycle and striving to create circular economy, where waste becomes a resource.